I am Jack Byno, a traffic ticket lawyer that has been representing clients in the Hill County, Texas area, since 1994, with speeding tickets, CDL violations, lifting traffic warrants, and driver's license suspension hearings . Contact me for help with your Hillsboro area traffic tickets. More about Dallas - Fort Worth traffic tickets. I am Jack Byno, a Hillsboro traffic ticket attorney and I have been representing clients with speeding tickets since 1994. In most cases, if you were written a speeding citation in Hill County, Texas, I can keep it off of your record by getting a deferred disposition. Of course, there are conditions you must meet, but if you a are approved and successfully complete the probation, the ticket will not appear on your driving record. Contact me to see if you qualify for deferred disposition in Covington, Hillsboro, Itasca, Mayfield, or Whitney. More about Help With Texas Speeding Tickets. 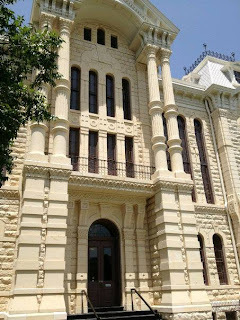 Did you miss your court date in Itasca, Texas? If you did you may have a traffic warrant for your arrest. The attorneys at Jack Byno & Associates can post a bond and lift your warrants. However, you do not want to delay. The City of Itasca participates in the statewide warrant round up and they do actively look for people with outstanding citations. Contact me today to lift your Hill County warrants. When you have a commercial driver's license you need an attorney with experience handling CDL and trucking violations. I am Jack Byno and since 1994 I have been representing CDL holders in Hill County, Texas. When you get a traffic ticket issued by the Hillsboro Police Department you need an attorney that understands what is at stake for you. Contact the lawyers of Jack Byno & Associates for help with your Hillsboro CDL violations. I have been representing clients in the Itasca Municipal Court since 1994. My law firm is dedicated entirely to the defense of traffic tickets, including speeding citations, lifting warrants, defending CDL violations, and fighting driver's license suspensions in Hill County, Texas. Contact me if you need a traffic ticket attorney. ADVISORY: Most Courts set their fines and fees at reasonable rates that are consistent with the nature of the charge. However, there are just a few Courts in the greater North Texas area that set the fines and fees extremely above the norm. Although these high fines are technically legal, they are, in our opinion, excessive. The Hillsboro Municipal Court is one of those Courts! When you retain our services we will do what we can to help you. However, please remember, the judge sets your fines, not your attorney. Fines and court costs are not included in fees for legal representation.